I start tomatoes as explained in This Old Tomato Growing Manual (click link to read tomato starting instructions). 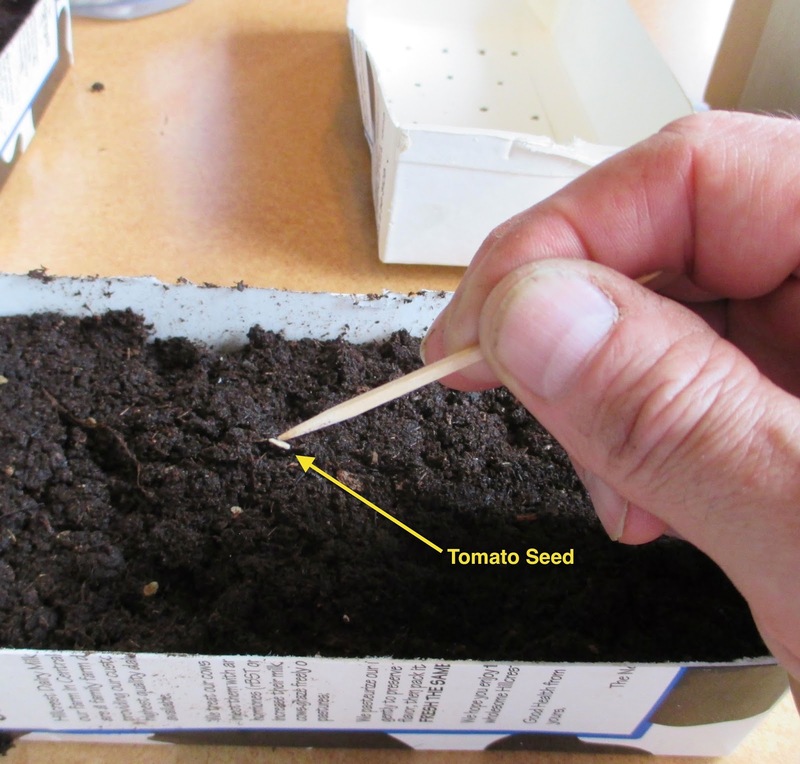 To pick up the individual tomato seeds and place them for planting, I use a "seed magnet" like shown above. It is noting more than a toothpick. Wet the end of the toothpick, touch it to a seed, and the seed sticks. It will release easily enough after you place it in the soil where you want it. This magnet works for other kinds of seeds too. I was curious about this vegetable magnet. Such a simple idea.